The New Yorker x Bermuda. A colorfully illustrated guide for New Yorkers looking for a weekend getaway. 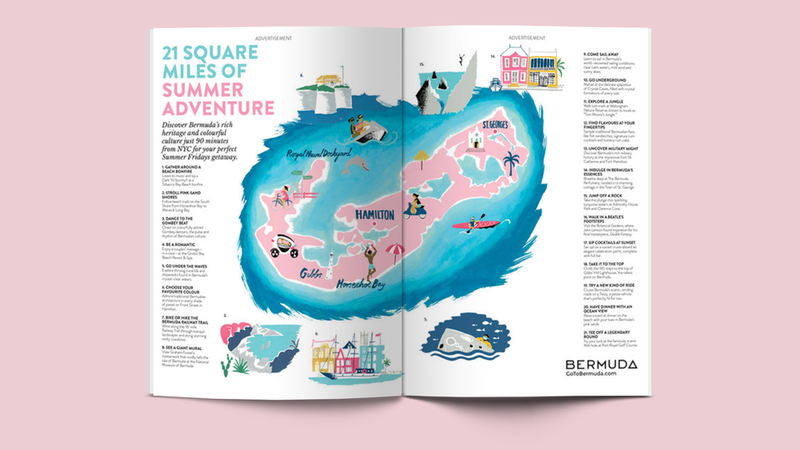 Print advertorial–part two of a campaign for Bermuda that also included an interactive crown unit map on the homepage of newyorker.com. Who doesn’t love pink sand beaches?